ISBN 073907766X. 20th Century; Folk; Masterwork. 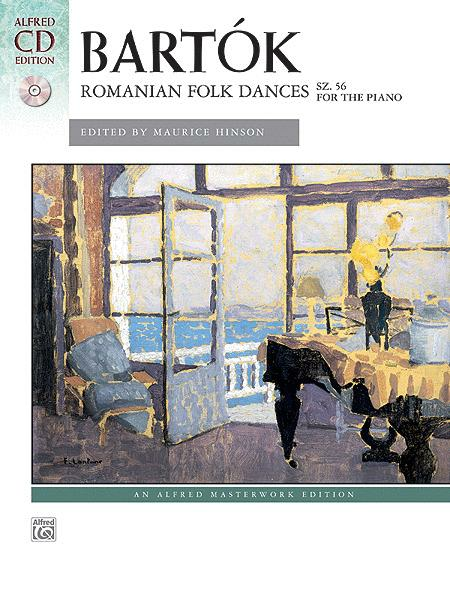 This set of six pieces is based on folk song melodies and dance forms from Transylvania which was annexed to Romania in 1920. The contrasting melodies were originally for violin or shepherd's flute, but the unusual harmonies are original with BartÃ³k. The performance time for the complete set of dances is approximately 4 minutes, 15 seconds. Included is an outstanding CD recording from the Naxos label.